Have magical fun in the addicting card game, Faerie Solitaire! Find and raise a Faerie pet and repopulate the magical land of Avalon using the resources found by clearing each level. Earn enough gold to purchase unique powerups and specialized upgrades, making each stage a breeze. This is the original version released. 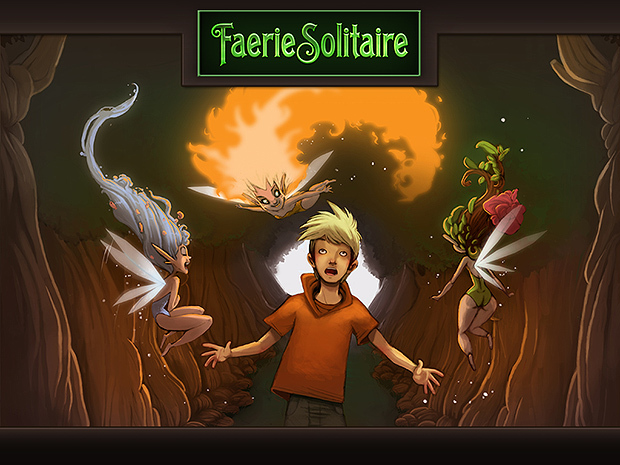 To play the latest version try Faerie Solitaire (Remastered). When you buy either you get access to both! If your computer is older then please use the Windows (Old) version. This version uses software rendering to display the game, meaning it does not use a graphics card to accelerate the graphics. If your computer is running XP for the OS then the Old version is the one you want to download. Note about Linux Versions: We don't guarantee everything will work with the Linux builds. If you can get it to work - great. There may be extra steps you have to do to do so. If you run into problems try Google to see if others have found a solution already. If in doubt, download the Windows version and install it through Wine. This legacy game was built with certain tools which are difficult to maintain. Our Linux support should be better with future projects.